It’s fair to say that we didn’t really have high expectations of the Force H3X because we considered Gigabyte to be great with motherboards and graphics cards, but assuming peripherals were an after-thought. It became apparent very quickly that we had seriously underestimated the 50mm drivers and ear cup design of the H3X – These cans are awesome. 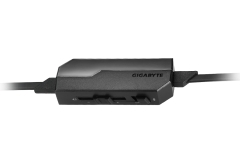 Gigabyte is not known for peripherals but we’ve been impressed with the current lineup under review. Seeing the larger manufacturers now engaging in battle on the peripheral front is interesting and consumers are spoiled for choice. 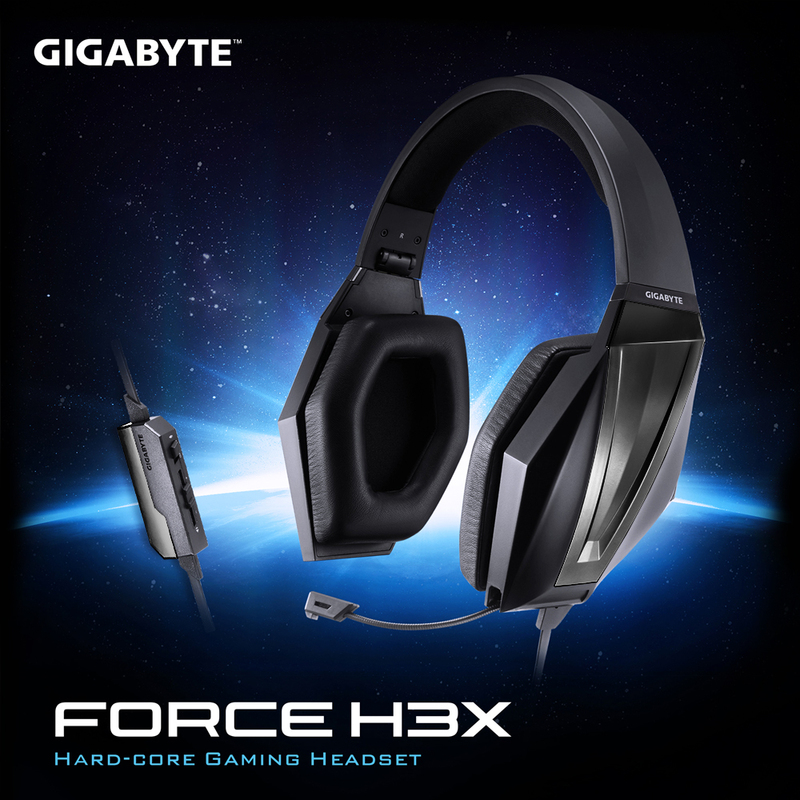 The Gigabyte Force H3X is a stereo analogue gaming headset priced in the AUD$80-90 range. The ear cups are faux leather rather than mesh fabric which means that they can get warm but provide excellent noise isolation and help you forget your actual surroundings. 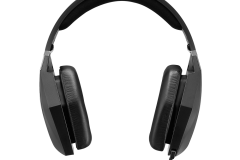 The design includes hinges on the ear cups that make the headset foldable for transport, a retractable and flexible microphone, inline control and a flat anti-tangle cable with twin 3.5mm audio jacks. 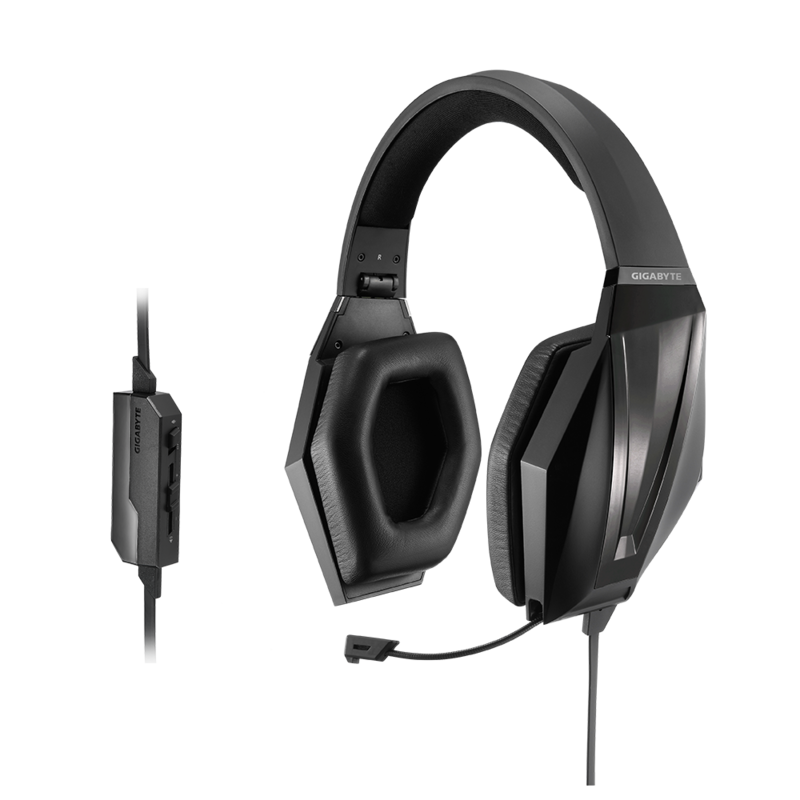 The audio cable is fixed to the left ear cup which will suit most right handed gamers, the microphone is also housed in the left ear cup. The box proudly states that the Force H3X has “Extreme Bass” and 50mm drivers which are both important selling points for a gaming headset. Feature wise, it’s a solid start but not anything ground-breaking or unique. The implementation of these features and the 50mm drivers are what made this product a real pleasure to test. In the box you get the headset and a Gigabyte branded black felt bag and a cloth to keep the H3X in mint condition. 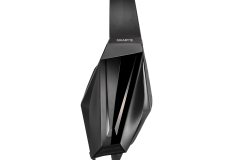 The headset folds neatly to a compact enough size for easy transport and storage. The microphone is retractable so it doesn’t snag on other peripherals/cables and you won’t detach it and lose it. 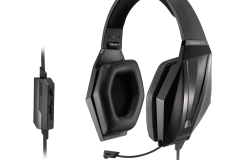 Having received 2 of the headsets for review we tested the headset through both our ASUS Maximus VI Gene Supreme FX and the MSI AudioBoost 2 on-board sound solutions that both use the ALC1150 chipset with 3rd party software support in addition to the Realtek drivers. Gelatiman and I tested the headsets in isolation of each other and compared notes once we had formed our opinions. In short, we found the Force H3X amazingly clear, especially for the price. The highs, lows and mids all sounded clear with good balance. When playing Elder Scrolls Online, the music and special effects came through loud and clear but it was the sound of running water and the environmental ambience that I appreciated the most – it just sounded so crisp. 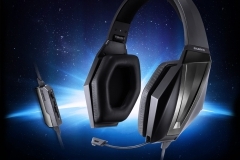 In Battlefield 4 and Call Of Duty : Advanced Warfare, the headset provided an immersive experience with a wide range of different sound effects readily identifiable in the thick of combat. We were impressed with the way music sounded through the H3X after listening to studio recorded music, live music and some acoustic guitar recordings. Movie watching was also immersive which proved that the Force H3X is a genuine all-rounder. 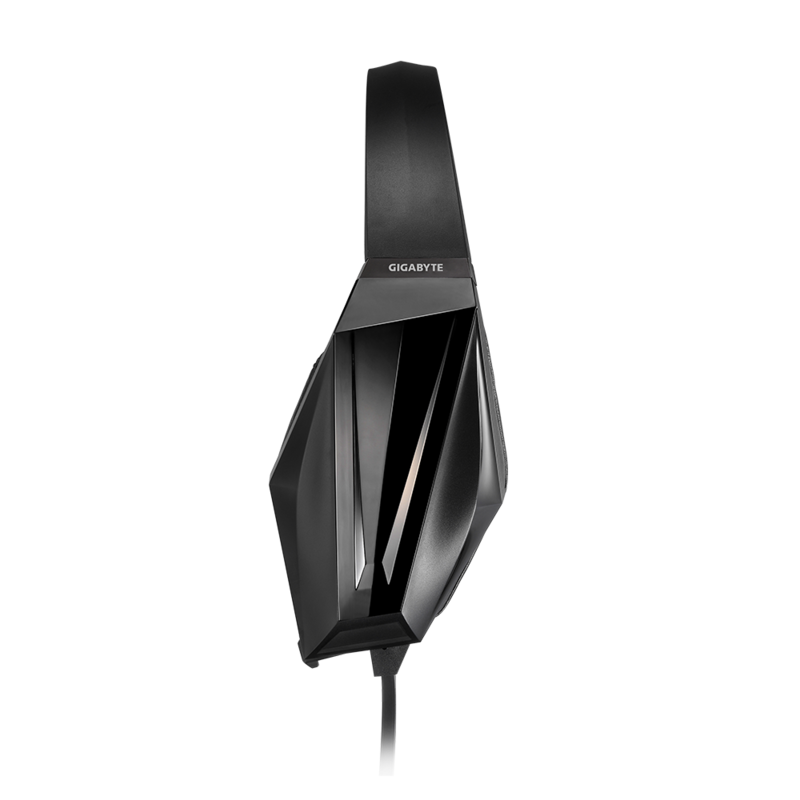 Noise isolation is one of the most important things about a gaming headset to us and the ear cups are effective with regards to external noise. With good external noise isolation you don’t need excessive volume. If you do like it loud, the H3X does crank up pretty loud but maintains clarity surprisingly well for the price point. This also means that with lower volume and good contact around the ear, sound doesn’t leak out of the ear cups to be heard by those around you. When it comes to comfort, the headset is light, firm and the ear cups fitted over our ears without issue. Despite the elongated appearance (below), the ear cups are surprisingly comfortable and effective. The head band pad is more firm than soft and even though you don’t forget that you’re wearing the H3X, it does its job well with a subtle awareness factor. The ribbon style cable is great because it doesn’t tangle as easily as the typical round cable and the inline sliding volume control with mute button is convenient to manage with one hand so you can keep gaming while tuning your volume. There is also a clip on the back of the inline control so you can attach it to your clothing for easy access – this won’t matter for most but if you use the mute switch a lot, it’s invaluable. The clip on review sample #1 was perfect but the clip on review sample #2 was much stiffer and hard to use. It was an inconsistency that probably won’t matter to most but an observation just the same. Build quality is good despite the amount of visible plastic on the headset. The H3X is more durable than it looks and survived over a month of road testing including a twisting session where we twisted the ear cups to see how flexible the headband is. Both samples were also sampled by countless gamers at a LAN event as well without any issues. I liked the concept of the retractable microphone but I felt that the microphone didn’t do the H3X justice compared to the 50mm drivers. Perhaps the microphone is about right for the price range and the rest of the headset is just awesome value so the disparity stands out. Whilst the microphone picked up voice, it was slightly softer when compared to other headsets with longer microphone booms. I think the retractable mic would benefit from being just another 20mm longer. All that said, the microphone wasn’t too sensitive either so it was very close to what we were hoping for. When gaming in Battlefield 4 multiplayer, the Force H3X gave us quality environmental, situational, immersive sound and it also provided our team mates with just our voice through the microphone – no game noise leaked from the ear cups or background noise like key presses or other people in the house. 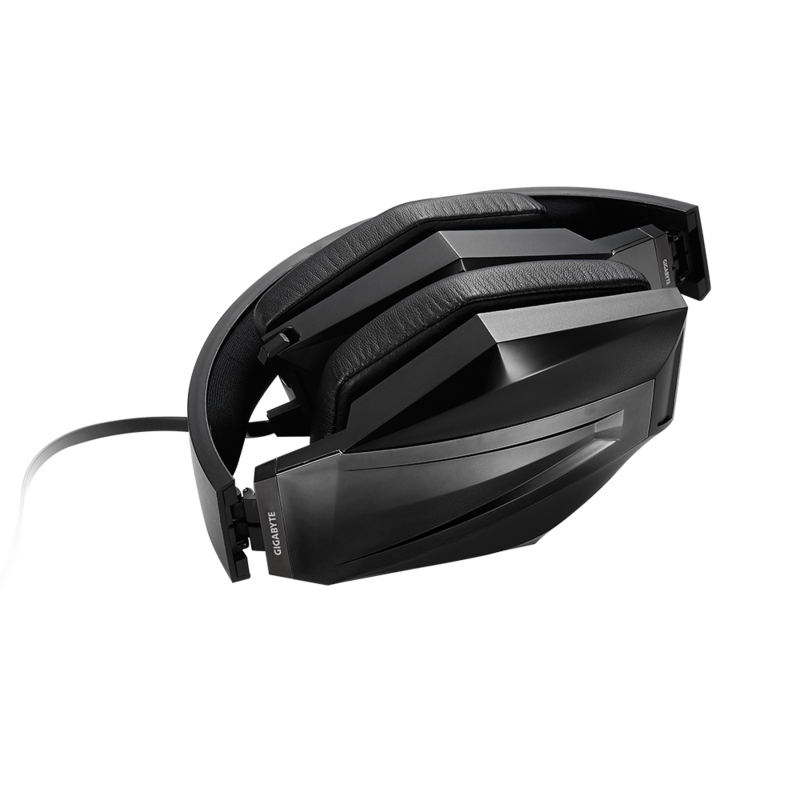 We ran a pair of H3X headsets with our demo rigs at RESPAWN LAN on the 27th June and the feedback was very positive from the gamers, most liked the comfort with a couple of people saying that they’d prefer bigger ear cups. Everyone we spoke to liked the sound and most noticed the external noise isolation properties of the over ear cups in the busy LAN environment. All up, this is a great headset for the money and provides much better sound than you would expect for the money. 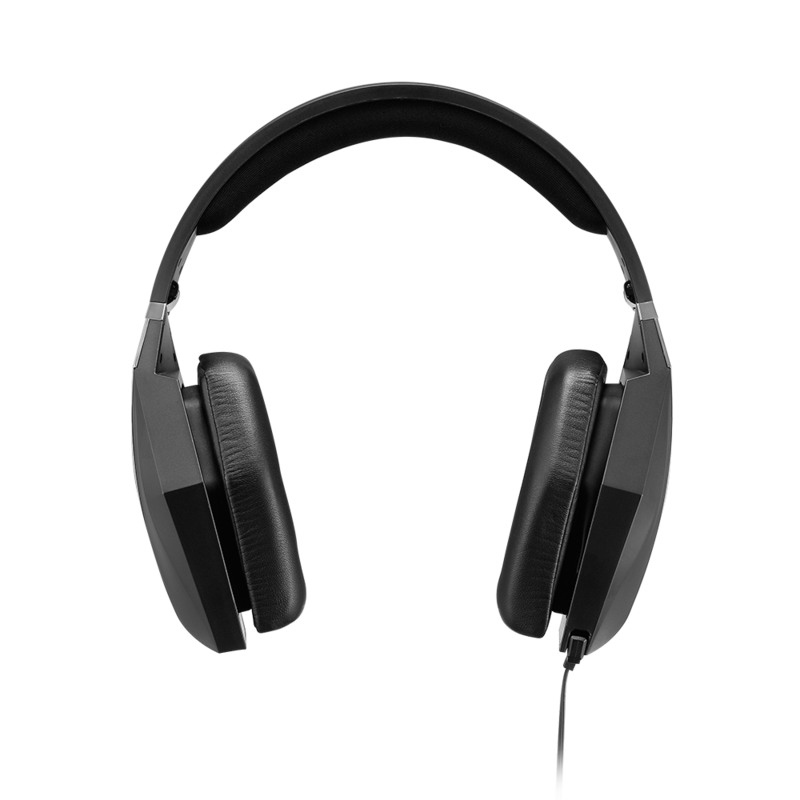 I’d buy these just for the audio quality and comfort factor given the price at $80-90; it’s well priced. Although the inline volume clip is pretty stiff, the noise isolation, flat cable, compact design and overall package of the Force H3X more than make up for it. 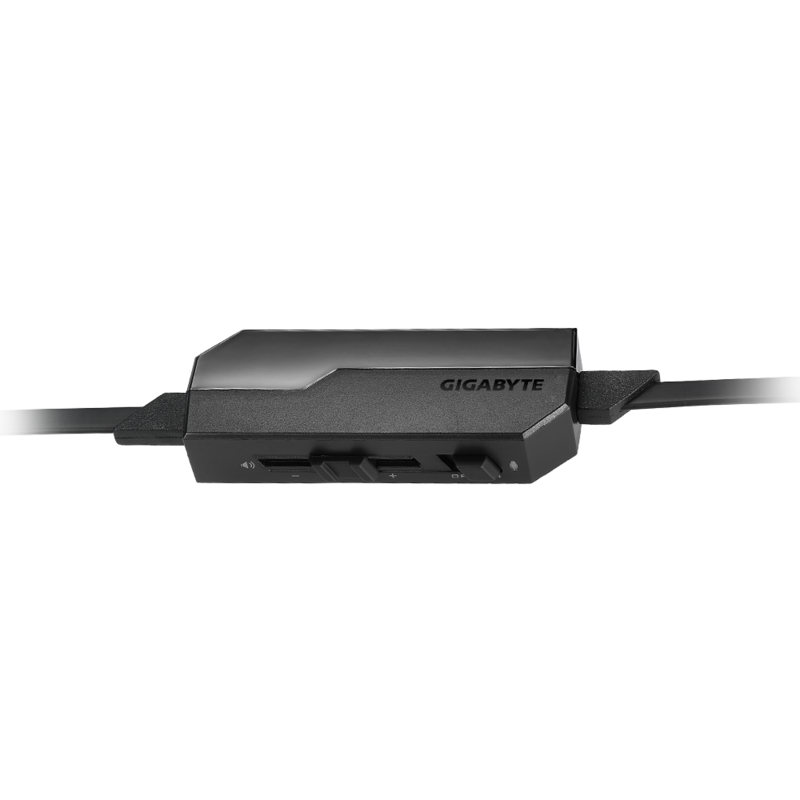 This product was a pleasant surprise from Gigabyte and a safe buy. 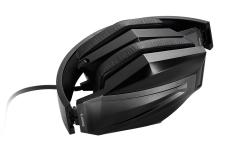 The biggest downside is finding them available in retail/e-tail stores which is a shame because the Force H3X is a really nice headset and great value. Previous articleGunnar Optiks : Gimmick or the Real Deal?